The discopunk trio ingests a little Trinidad and Tobago into their new LP, Pala. If you want to get philosophical about it, Friendly Fires are reaching for the rocky euphoria-point between total joy and the unknown. In 2008, the band — three studious, reserved but jovial boys from St. Albans, Hertfordshire, England, two called Ed (one with two Ds) — dropped a debut that espoused a loose, dreamy type of discopunk that also paid homage to house music in style and spirit. The track packing the most bliss was “Ex Lover,” which swooned in its own twinkly synths, and paid less homage to discarded partners than to two people who were clearly about to bone up on old valentines. More than their other songs, whose offbeat hooks still harbored a bit of restraint within their enthusiastic sparkle, “Ex Lover” proved that they were not afraid to get caught up in the moment. 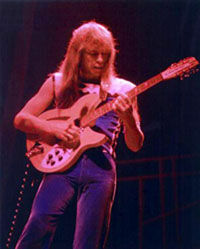 Another track, “Jump in the Pool,” had its head in the clouds, too; hinged on vocalist Ed (one D) MacFarlane’s breathless spin, it documented the split second before you fall into your own courage (or love). They bet heavy on impulsiveness, but at times cemented in their steady disco-indebted drum patterns. I loved the record quite a lot — and they’re bananas live — but after a while I realized I was skipping through every song but the aforementioned two, plus “Paris” and “Strobe.” Eventually, the other tracks struck me as too tethered to convention (and, perhaps, a Gang of Four) for a band that seemed to aspire to astral projection. But they’ve found their salvation on an island. Literally, their new record, Pala, is named after the island in Aldous Huxley’s Island — a literary utopia with a shelf-life — but they’ve also maybe been ingesting a little Trinidad and Tobago with an undertone of soca beats, give or take a few BPMs. “Hawaiian Air” hovers over a cascade of drums, counter-rhythms invoking salt air; “Chimes” and “Blue Cassette” are pop songs that also seem to beg for Carnival DJs to mix them in their sets. And with their syncopation came freedom, it seems, because this album is wide open. Perhaps their vigorous touring schedule over the past two years upped their venue ambitions, because the album is Grand Canyon-lush. Or maybe, after it all, they just all found love. Interestingly, several tracks on Pala sound like companion pieces to one of the latest songs from Machel Montano, soca superstar and the most widely recognized musician from Trini. “Reach On Out for Love,” with Beta One, funnels soca’s super-fast clang through a more widely recognizable pop sound with an acoustic guitar hook. (Plus, it’s got an Ibiza remix.) It’s an example of a longtime artist gunning for global reach by polishing his relatively localized genre into a slightly glossier sound universally recognized as pop — something another island star, dancehall godhead Vybz Kartel, is doing with his forthcoming album, too. It’s probably lunkheaded to point out at this juncture how the internet is opening doors and making borders porous for musicians all over the world, but it still amazes and excites me. And maybe the starkest example of this can be found in Beyonce’s new video for “Who Run the World (Girls).” Sans context, at first I thought a lot of the choreography looked angular and awkward, its 45-degree shuffle-kicks reminiscent of clogging and Riverdance. Barring blissful moments like her queenlike shoulder shimmy (Eritrean, I’m told) and her indefatigable butterfly-booty ground-scrubbers, she seemed to be at uncharacteristic odds with her body. As I learned a couple days later, Ms. Knowles-Carter was not paying homage to ancient Celtic dance contests, but to three Mozambican dancers who perform under the name of Tofo Tofo. She and her main choreographer Frank Gatson Jr. had seen a YouTube video in which the group had done a Pantsula — a form of South African township dance popularized in the 1980s — and had spent months tracking them down through the embassy so that they could teach her their steps. And here was a perfect, hard-evidence example of how the internet has made music’s invisible global boundaries more porous — a mid-fi clip captured on a video camera in a remote spot in Southeast Africa made its way to the of the world’s biggest pop star. Certainly Friendly Fires, in multi-cultural, multi-ethnic England, didn’t discover soca (or house, or disco) on the internet, but it may have made it easier to make videos like the one for Kiss of Life, in which the band and 12 Brazilian drummers dance around on the island of Ibiza. For what it’s worth, Montano’s “Reach On Out for Love” has an official Ibiza remix. Collabo? 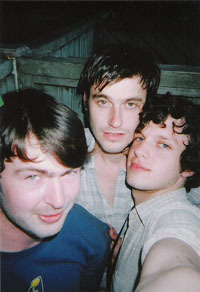 Friendly Fires plays Webster Hall tonight, 5/25. Machel Montano will play The Village in Brooklyn on July 3.